Meanwhile, I am almost a regular guest on the small island in the Mediterranean Sea. So, I flew to Malta for the second time this year. For the third time the band Martyrium invited to the Voices of the Succubi Festival. After the two-day event last year, there was only one session this year. Venue was The Garage in Żebbuġ (Ħaż-Żebbuġ), one of the oldest cities in Malta. The pictures of the evening can be seen on Flickr. The VOTS was opened by Alkemy from Switzerland. The band around frontwoman Katia also organizes a festival for female fronted bands in their hometown of Geneva. At the event in December 2017, I was already able to convince myself of the live qualities of the Swiss. The musicians are currently working on their debut album. On this evening, only cover versions of Within Temptation and Nightwish were on the set list. The fans liked this so much that Alkemy had to play “Faster” again as the encore, the song they started into their set. Project Renegade is one of many bands from the southern European state of Greece. 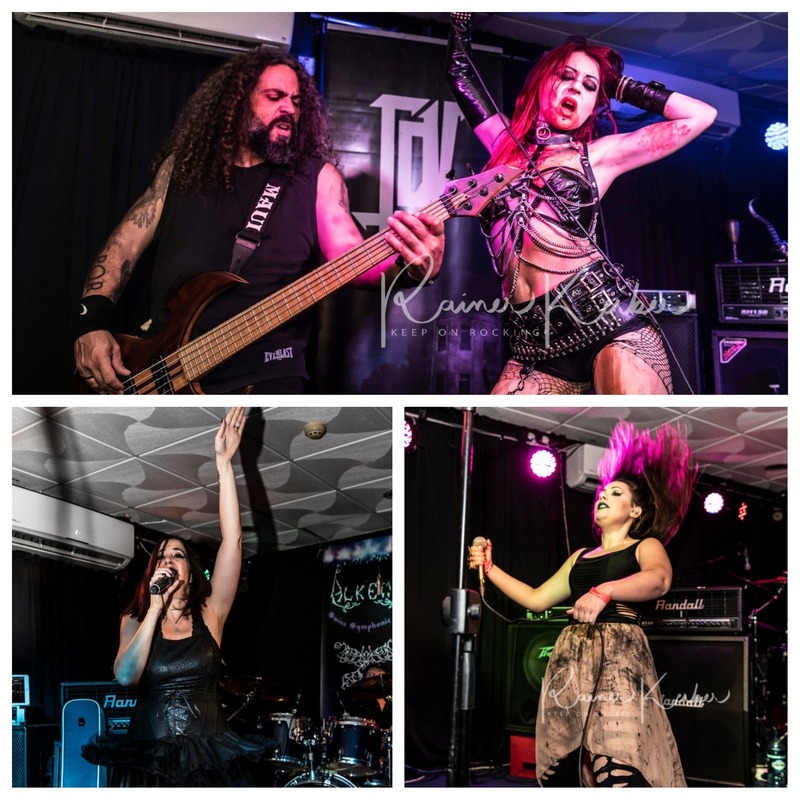 Founded by vocalist Marianna and drummer Ody in 2017, the musicians are also working on their album debut. And the quartet from the capital Athens could fully convince with their melodic Metal. The singer shone with a clear and powerful voice. I will meet the band again on the FEMME in October. Some years more, the Norwegians Nekrodelirium are on stage. Founded in 2011 by Sandra Stensen (vocals) and Erik Röjås. A little later, Erik left the band and the singer now leads the band alone. Meanwhile, Nekrodelirium are a trio that is supported live by guest musicians. 2014 (digital) and 2016 (CD) the debut EP “Apocalypse” with four songs was released. And all four songs were played that evening plus two new songs. The melodic black metal of the band is certainly not everyone’s taste. Most fans in attendance were pleased, however, so there was a lot of applause. And Sandra had almost a home game, since she is also a singer of Martyrium recently. With Fallen Arise there was another band from Greece on stage. I was able to experience the band live in Hamburg one year ago as an opener for Fates Warning. I’ve known singer Fiona for a few years longer, from her appearance with the English band Apparition. It was in Hamburg the first appearance of the singer with Fallen Arise, the band is now well established. The appearance on the VOTS was certainly a welcome change for the musicians who are currently working in the studio on the third album, the first with Fiona. 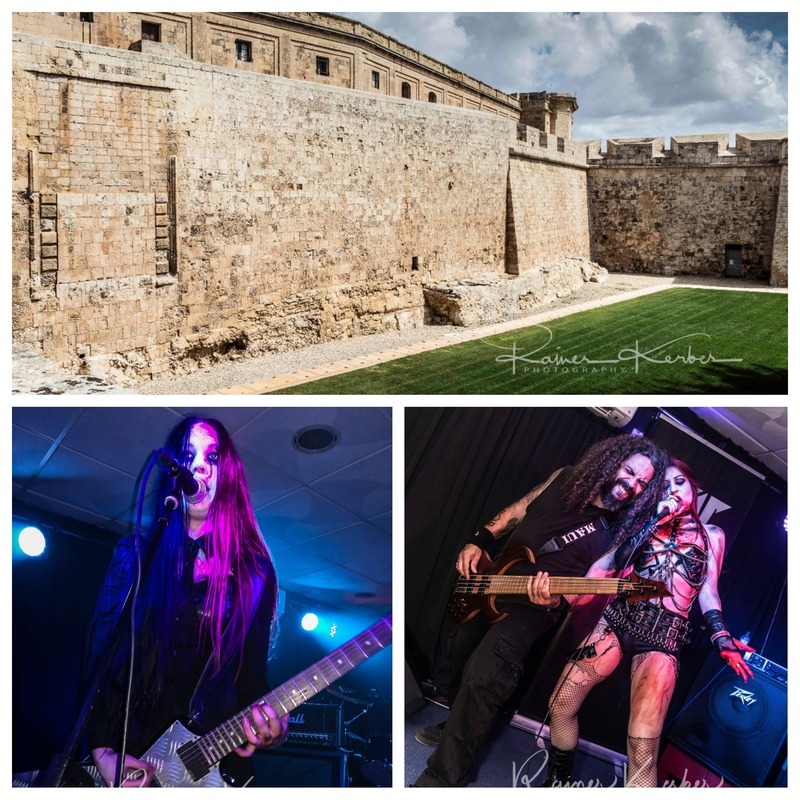 Since 2009, the band has dedicated itself to Symphonic Metal, which they presented in Malta in perfection. Unfortunately, no song from the new album has been presented yet. There was a mixture of the two previous albums “Ethereal” and “Adeline“. The new day was already an hour old when the headliner of the evening entered stage. Theatres des Vampires were named after a fictitious scene from the novels of the American writer Anne Rice. Fittingly, one can find on the Facebook page of the band as interest “vampirism”. The music style is extremely difficult to describe. The best fits, as the band has described on their website: “Vampiric Gothic Rock Metal”. So, a very melodic rock, with which the band has played in the hearts of their fans since its founding in 1994. There are also texts in which various mystical topics are treated. Singer Sonya Scarlet, the lead singer of TdV since 2004, has a strong, expressive and slightly scratchy voice. During the show, she emptied a golden goblet, whether it was blood or just a red fruit juice, the singer remained silent. That remains her secret. Much of the songs the musicians played that night came from the current album “Candyland” (2016). With nine albums released to date, of course, more than enough songs have accumulated to make a one-and-a-half-hour show varied. Of course, Theatres des Vampires had to give an encore. 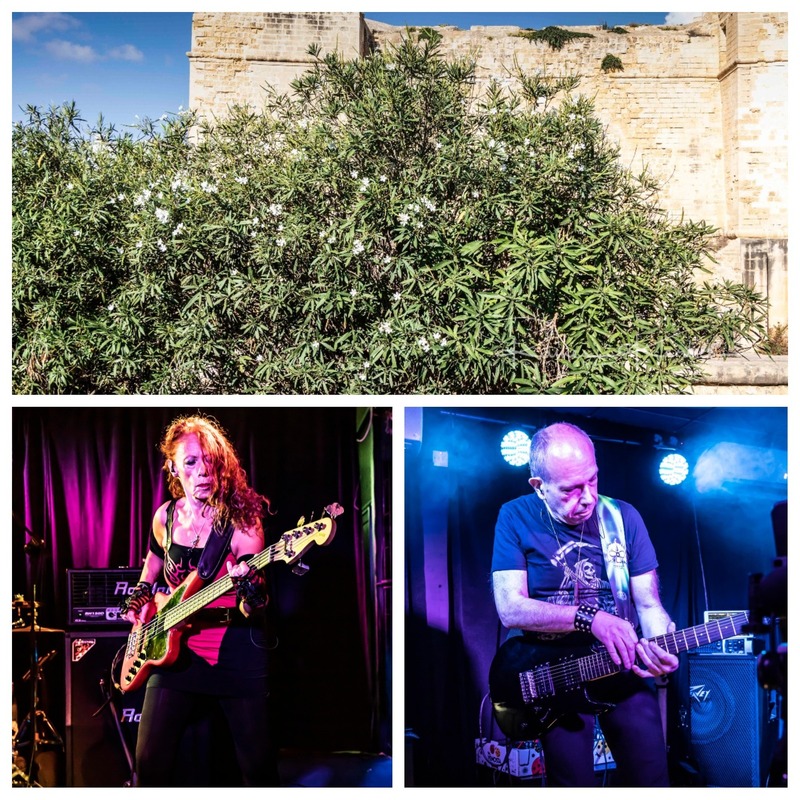 The organizers of the Voices of the Succubi Festival once again succeeded in inviting interesting bands from Europe to Malta this year. The program of the evening was very varied. Apart from a few technical problems, the organization was excellent. The sound was good, the light better than last year. On this way I would like to thank everyone involved, the bands, the technicians and the organizers. I want to come back.